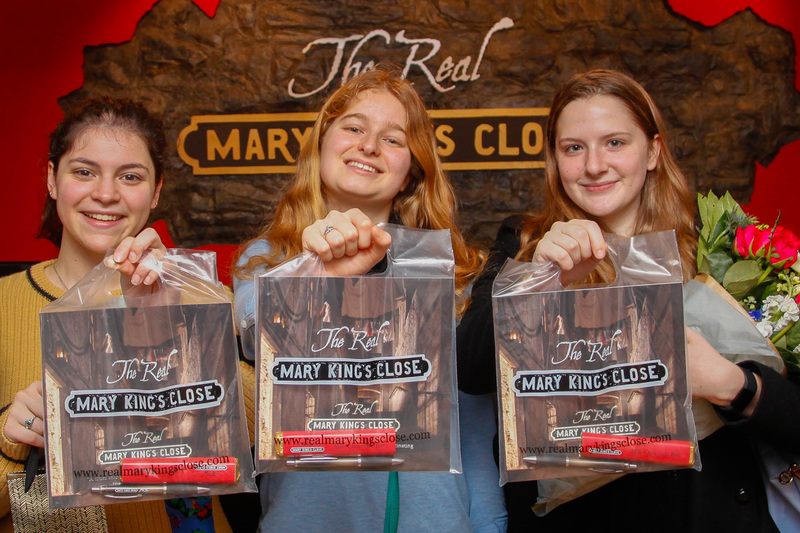 We are delighted to be celebrating a major milestone – 2017-18 saw us welcome 250,000 guests; making it the busiest year yet for The Real Mary King’s Close. Originally budgeted to achieve just 60,000 visitors per year, we have far surpassed expectations, which is demonstrated by an 11% growth year on year. Since opening in 2003, over two and a half million people have walked in the footsteps of Mary King and the Closes’ other residents, discovering the real history of its uniquely preserved streets and spaces. Our social history tour has benefited from substantial investment over the years, including the addition of an entrance on the Royal Mile in 2015, and numerous upgrades to the tour route – offering a greater experience to our guests from all over the world. To mark the occasion we treated three lucky visitors to a free tour of our top visitor attraction, goody bags, and a bottle of bubbly.